We invite families, staff and the community to join us in a series of workshops to inform the design for the remodeling of Frost Lake Elementary School! Having the voices of those who know and use our school is critical to getting an understanding of how the building can best be improved. This exciting opportunity will be led by Saint Paul Public Schools Facilities Department staff. The first community meeting will provide a brief overview of SPPS's Facilities Master Planning efforts that were conducted district wide in 2015. The architects who will design Frost Lake Elementary's renovation/addition will lead a community discussion about school priorities; provide an overview of needs identified this fall by school staff and administrators to update the 2015 priorities; and seek input on priorities from students, families and the surrounding community. Upon establishing the renovation/addition priorities and program requirements for Frost Lake, the architects will present diagrams showing how renovations will accommodate space priorities and the potential building expansion and site improvements to be considered. Early in 2019, architects will be working on a prelinary design for the Frost Lake renovation/addition based on community input and test-fit diagrams presented in the second meeting. Architects will hold an open house to present 3D imagery of the vision for Frost Lake's updated learning spaces and school community amenities. Receive periodic project updates on Frost Lake Elementary's building addition and remodeling. 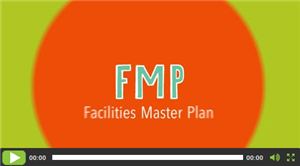 Have you heard about the FMP?